Traditional Slider Disc Anchor+ Steel cable or Barrel Anchor + Steel cable work with moulding hook hold screen hook anchor & any type of clip-rail picture hanging system. 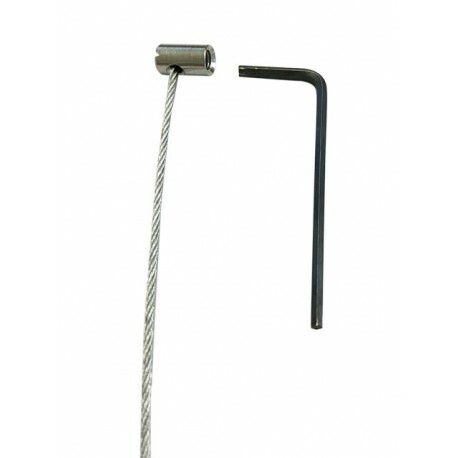 Disc Anchor+ Steel cable or Barrel Anchor + Steel cable can be slide in to the cliprail from one end of clip rail. 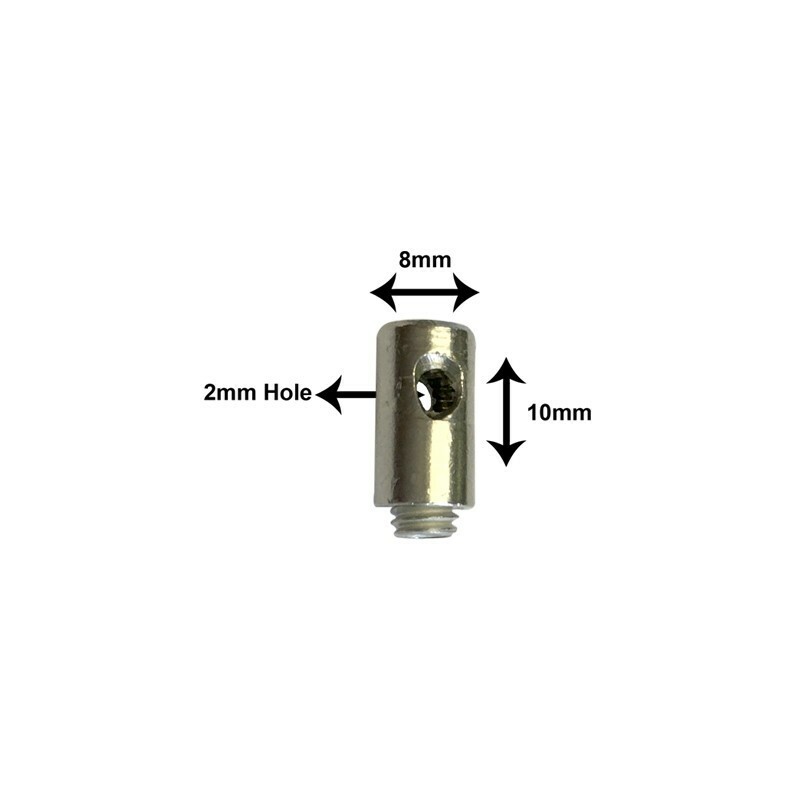 We can provide any length cable from 1 Meter to 20 Meter with Disc Anchor+ Steel cable or Barrel Anchor + Steel cable. Plus point of Disc Anchor+ Steel cable or Barrel Anchor + Steel Cable is that it would fully hidden inside the clip-rail slot so any part of anchor would not visible like new cobra. 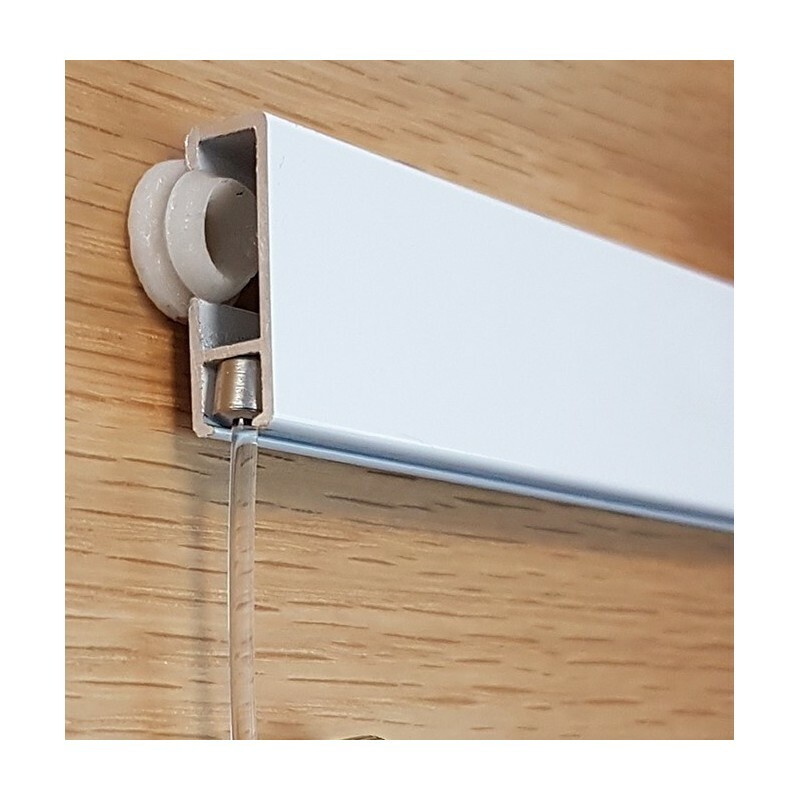 Barrel Anchor + Steel wire rope cable work with art galleries picture hanging system cliprail and can hold pictures up to 25 KG if you use with clip rail heavy duty. 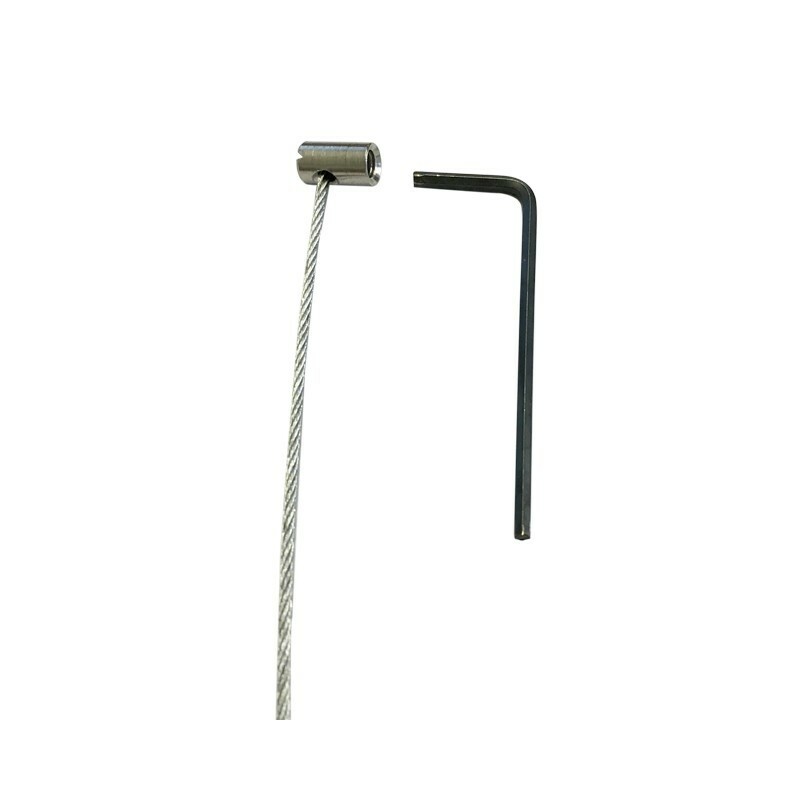 The following hooks and cables can be used in combination to hang pictures with Barrel Anchor + Steel cable steel cable hanging system. Use one Barrel Anchor + Steel cable in the middle of picture with 1 Smart mini Hook to hang up to 10 kg Picture up to 2X2 Feet. 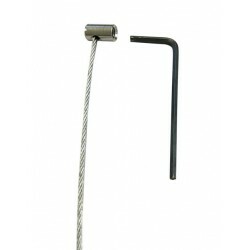 Use 2 Barrel Anchor + Steel cable one left one right of picture with captain hook to hang up to 25 kg Picture up to 6X4 Feet in size.